Split Shank Halo Diamond Engagement Ring | Shane Co.
A ring should be as romantic as your proposal and this halo engagement ring with a split shank is no exception. 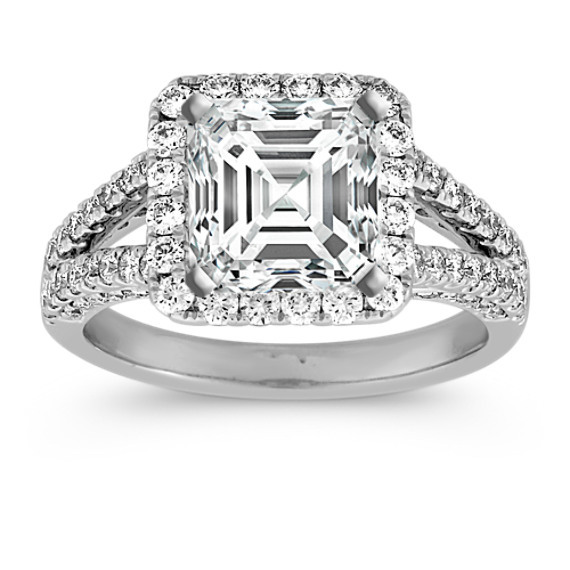 With 86 round pavé-set diamonds, at approximately .95 carat total weight, set in quality 14 karat white gold, this ring is made to hold a center stone at approximately 2.00 carat. .